Private room, big living-dining areea with TV. WANTED COUPLE OR 2 GOOD FRIENDS, 150 pp pw bills included, Zone 1 !!! Travelers, Students to share Brand New Townhouse , No Single Person! 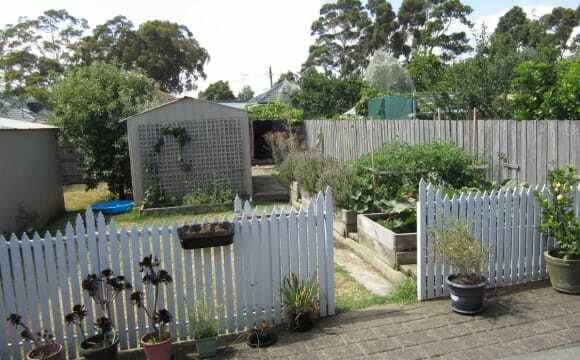 9 km to CBD, close to Victoria Universities. Only young couples live in the house the owner does not live in the house rented. 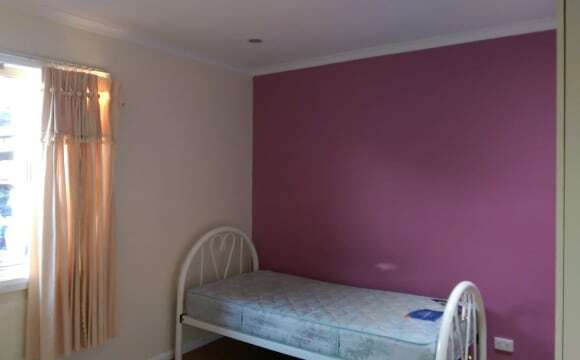 Three bedrooms en suite, queen size beds, bed sheets, towels, every bedrooom has key lock, etc., ducted heating, Air con. 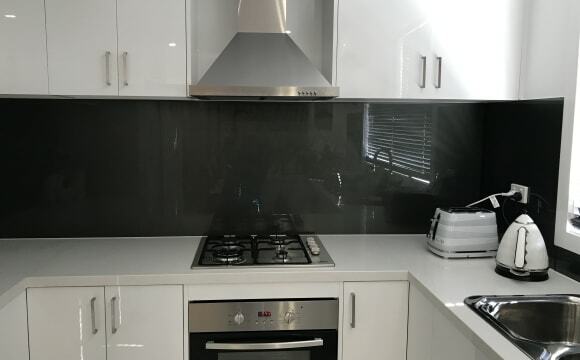 House fully furnished, three bathrooms, three toilets, Air Con, Bright loungeroom, dinning area, kitchen fully equipied, balcony, front and rear courtyards to share. Car space. 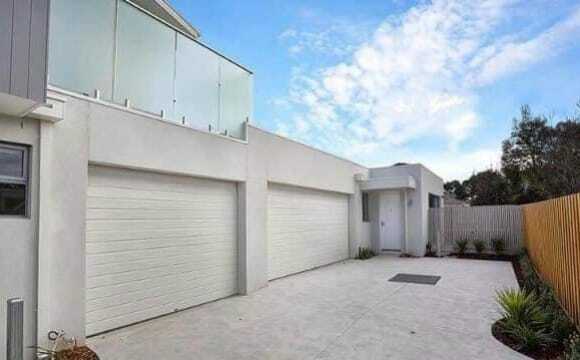 Close to Public Transport, Highpoint Shopping Centre, Shops, Woolworth, Coles, Aldi and GYMS . Zone 1 WI-FI INTERNET UNLIMITED $5 pp pw, Luxury Townhouse, smoking outside. near plublic transport, buses and train, heating, aircon, security, balcony, frontyard and backyard.9km from the City . Direct bus 220 to City! 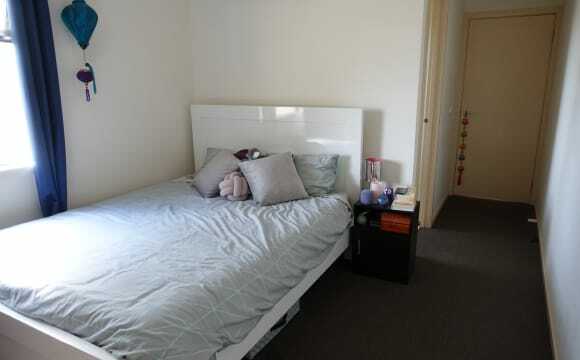 Close to Victoria Universities Close to Footscray Campuses Walking distance to Shopping Centres , to Hightpoint Shopping Centre, Near Tottenham tran station and 3 minutes walk to bus station 220. Travelers, Students to share almoust new house, spacoious, provides great accomodation, ,everythig you need just bring yourself and have a great stay. Enjoy your stay in a friendly environment!.. Large townhouse, 4 bedroom, 3 bathroom, 2 living areas, study, and deck overlooking the river. Ducted heating/evap cooling, solar panels, large kitchen, dishwasher, lock up garage, and shed. 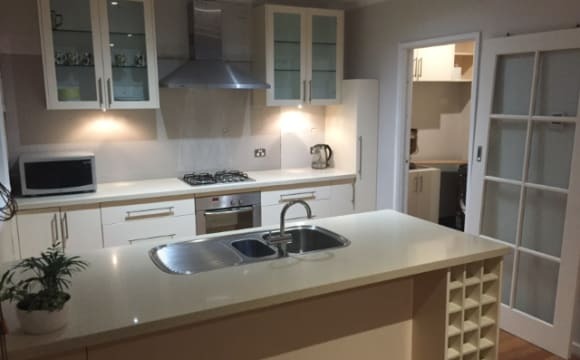 Close to supermarkets and less than 10 minute drive to Tottenham train a station. For rent is one bedroom and your own bathroom. BYO bedroom furniture. We will share all living areas but there's plenty of room to spread out. Most furniture will be included but we could do with more lounge furniture for the 2nd living area if you have some. We split bills equally by contributing money each week and paying bills as they come. We also have a cleaner that comes fortnightly for basic clean (as well as cleaning up after ourselves) Price not confirmed yet but rent would be between 170-200 depending on which room you take, not including bills and internet. Close to public transport close to shops like aldi Coles and Safeway. Close to big shopping centre highpoint. Only 12km from city. Close to gyms. Village cinema 5 mins away. Also you will have your own ensuite bathroom and toilet . There is a double bed mattress very new and there is a 3 door built in walk in wardrobe as well as a tallboy for your clothes. this is a non smoking house and there are no pets. there is only one other person here. the property has heating and cooling upstairs. it's a double story place with one room upstairs which is the rental room. mine is downstairs . the kitchen is downstairs along with living area. This includes internet wifi unlimited. There is off street parking as well. with no restrictions. A Bus stop nearby which can take you to sunshine station or into city via footscray station. It's a new house and very comfortable. It has easy access to Sunshine Station or a direct bus to the city via Footscray. Shopping is close as well as some of My favourite cafes. Really spacious brand new 2 story town-house! 4 bedrooms, three full bathrooms, two living areas and a nice outdoor space. Off street parking and garage. Secure and quiet. 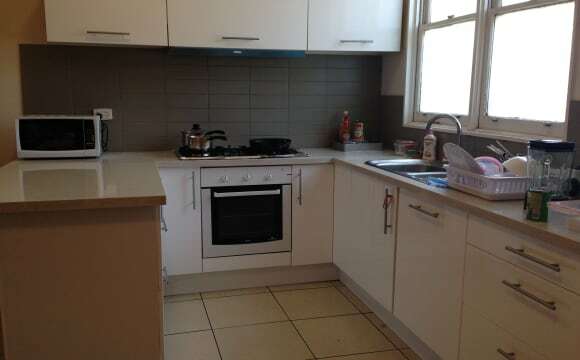 Internet, central heating, dishwasher and most appliances. We split bills equally by contributing money each week and paying bills as they come. For rent is one bedroom with own bathroom. Price not confirmed yet but rent would be between $170-$200 per week not including bills. Nice clean property, good sized bedrooms. Easy going housemates and landlord. Happy to have a chat but also respect your privacy and quietness.House will be furnished with brand new furniture and white goods. Also there is one storage shed at the back if you require extra storage. Make sure you contact me to inspect! The townhouse is lovely and spacious. The room has an ensuite and walk in closet. We also have a Netflix and Stan subscription that you can take advantage of. It is very close to the library and football oval. 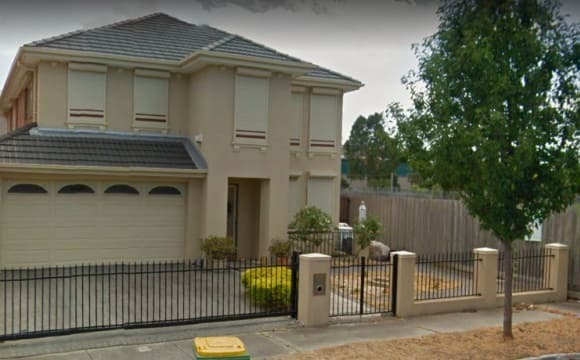 Just a 20 min walk or couple of min drive to Tottenham train station, or a short walk to buses that will take you to Footscray station. 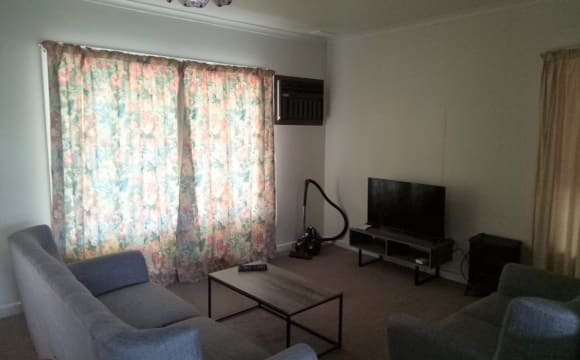 Close to public transport, city, shopping centres. Located in a quiet court, plenty of parking space if required. 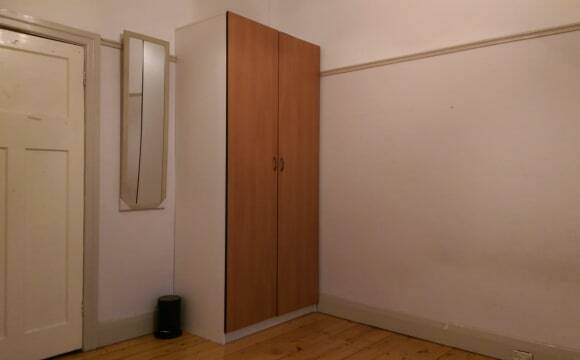 Huge bedrooms, only 1 other tenant to share with. 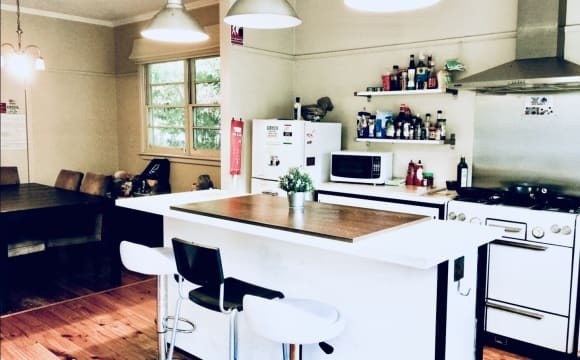 Newly renovated house/kitchen, must be tidy, and respectful. Large separate lounge room, open plan kitchen and dining. Foxtel available but not included in price, to be discussed. The place is a great two bedroom townhouse on a quiet street in Maidstone, and only two years old, so very modern. There’s a few different bus options close by. You can get to Highpoint, Footscray Station or even the CBD super easily, and Woolworths is a short walk away. There’s also a vegan cafe/nursery around the corner. 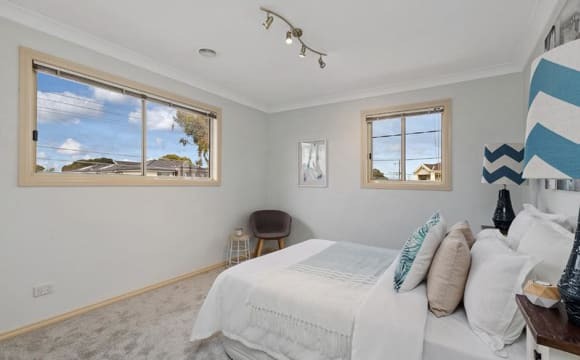 Both bedrooms and the living room have their own aircon units, and can be set with timers (great with winter coming up so you can wake up warm). The cats are also excellent heaters. I have a Nintendo Switch, so Mario Kart and Mario Party are always available too, and Netflix and Stan on the living room TV. I’ll expect you to go on the lease if you do move in as well, for your and my security! 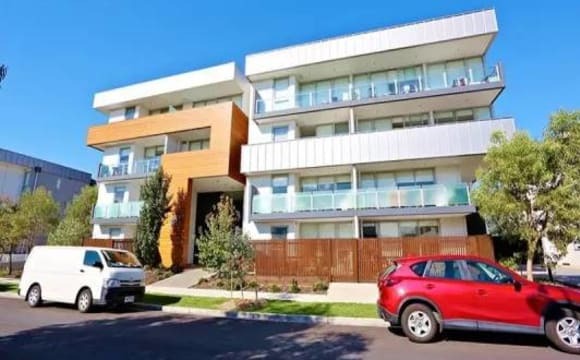 It's very convenient for students, who is working in city or footscray, it's very close to public transport. 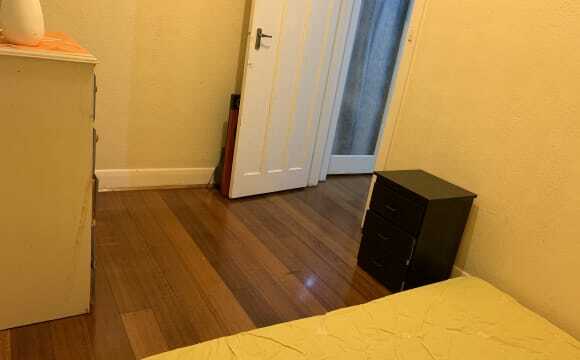 It's very close to public transport and just opposite of shopping center, 10 mins from city. Only 8 km to the city and 1.6 km to highpoint. Close to public transport. 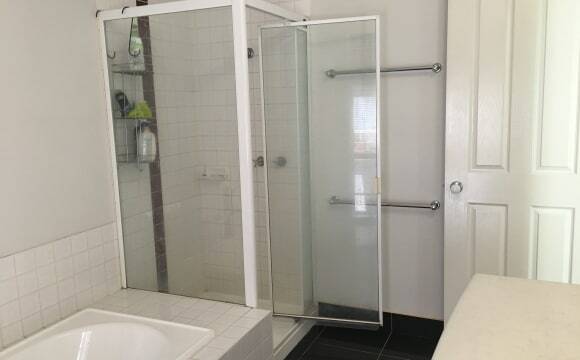 Fantastic modern two bedroom apartment with a shared bathroom which also includes a shower and bath in one. Other features include a courtyard with an outdoor setting which leads out into a communal garden, split system heater and air conditioning in the lounge area as well as electric heaters in the lounge and bedrooms. Fully furnished except for the spare bedroom that is for rent but will be furnishing the spare room with a king single mattress and desk once I find someone to rent the room to. No need to worry about moving a bed in. Free WiFi unlimited, foxtel pay tv basic package and Net Flix. Also happy to provide little extras such as toilet rolls, soap, washing detergent ect. Fantastic little humble abode.